Leasing a restaurant space is one of the most crucial parts of opening a new dining location. The location of your restaurant has a huge bearing on the likelihood of its success. This is even more true when you factor in the cost of leasing a restaurant space. Of course, there are leasing tips and tricks that seasoned restaurateurs utilize to get the best deal possible. If you are hoping to open a new restaurant and wondering how to find the best location to host your food service operations, keep reading. The restaurant leasing secrets used by the most successful restaurateurs are detailed below to help you achieve similar success. In order to score the best deal on your restaurant lease contract, you need to negotiate. Negotiations are a crucial part of nearly all business operations. So, you may as well start learning the best negotiation tactics now. Be firm in your communications. But also, stay calm, level-headed and friendly. The more pleasant your interactions, the more likely you are to get a good deal on a restaurant lease. This will set your business up for a future full of financial success. That is why you need to be willing to negotiate a restaurant lease to get the best possible deal for your future restaurant business. Factor the fees into your price estimations for each potential restaurant lease you consider. Naturally, the sticker price is never really as low as it promises to be. There are always fees involved in most lease transactions, both private and commercial. You will want to inquire about these fees up-front. That way, you have a real idea of what the best restaurant lease price actually is. You may even be able to get some of those fees cancelled or entirely avoided if you know how to negotiate well. Regardless, be sure to inquire about these restaurant leasing fees, so that you know that the restaurant lease you are signing is actually the low price you were promised in the beginning. In any restaurant lease locations you consider, be sure to remember to factor location accessibility into your ultimate decision. The accessibility of your restaurant location is one of the biggest considerations for your business. If your restaurant location is hard to get to, fewer people will stop in on a whim. Further, customers that may otherwise consider your business may decide to visit a competitors location just because it is easier to get to. It will also make marketing your new restaurant much more difficult in the first few months of business, no matter how great your advertising network. Give your business the best shot at success, and factor in accessibility when going considering restaurant leasing options. Find the best fit that meets most of your new restaurant startup needs. The last thing you want to do is have to customize an entirely new leased location for a brand new restaurant venture. That gets expensive. In addition, it also takes a lot of time. If you instead lease a restaurant space that has most of your restaurant startup requirements, in terms of equipment, space format and design, you will have a much easier go at it. Finding a commercial rental space with a restaurant POS system is easier than you would imagine. 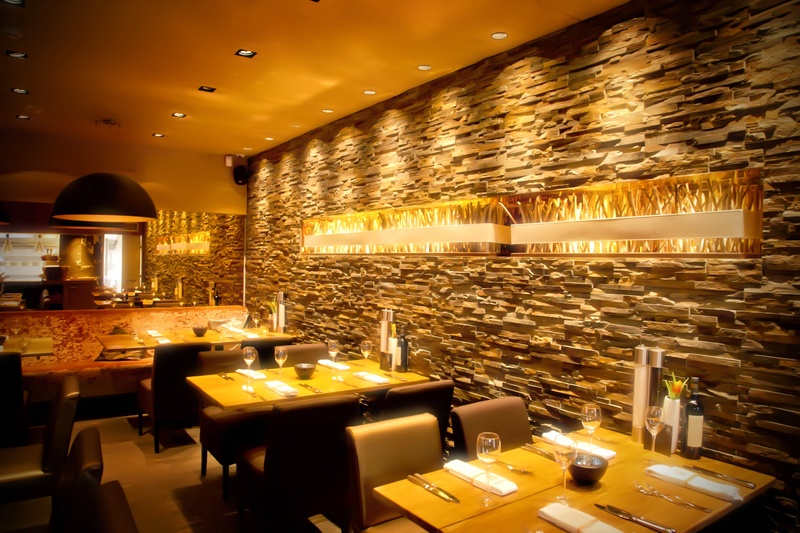 Try to find a restaurant space lease that best fits the image of your restaurant that you have in your mind. Doing so will save you a ton of time, money and headaches in the future. It will only make it easier for your first restaurant to succeed. Before you sign any restaurant leases, be sure to take a close look at any clauses related to liquor licensing considerations. Nowadays, more and more restaurant leasing landlords are requiring tenants to sign leases that include language referring to “first right of refusal on liquor licenses.” That means that in the event that you should leave the restaurant space behind, the landlord must be the first person you offer to sell your liquor license to. Unfortunately, that could mean a huge missed opportunity to turn on a profit on your liquor license. Restaurant liquor licenses are an asset. You could, in theory, sell it off years in the future and make a considerable profit doing so. If you sign a restaurant lease with this language included however, you will not have that opportunity. That will make the high price point of any commercial space much less desirable or worthwhile. Be sure that you factor this into your decisions regarding restaurant leasing. Leasing a restaurant space requires a ton of research and planning for maximum business security in both physical and financial terms. Thankfully, doing so will help you to get the best deal on a commercial space lease, which will only improve the odds at your restaurant achieving success. Use the restaurant leasing strategies detailed above to help get the best deal on your restaurant space lease. Otherwise, you could be costing your business a whole lot of time and money that will only make it harder for your restaurant to withstand the notoriously difficult first year of business.